On Saturday February 20, the Sitka Chamber of Commerce held their annual Banquet and Awards Dinner. There was a very well deserved Community Heroes Award presented to Sitka Fire Department and Emergency Service Responders for efforts during the Kramer Avenue Landslide. Both volunteer and professional responders were recognized and honored as rescuers and for their heroic rescue efforts. In addition, Sitkans should be extremely proud of how the community pulled together during this tragic time. Included during the evening’s festivities was the awarding of the “Cossack Cap”, an award presented annually since 1974 and established to honor those who have distinguished themselves in unselfish and extraordinary public service to the citizens of Sitka. 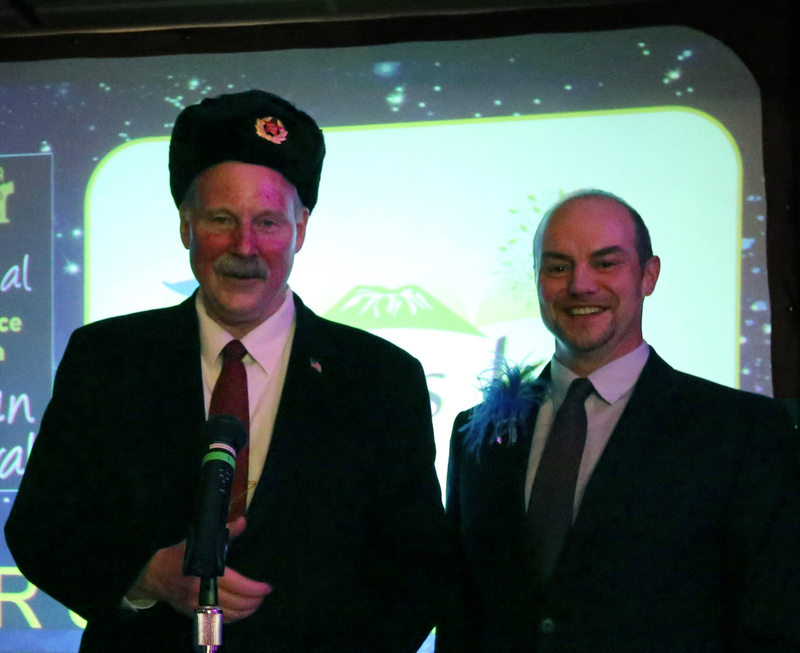 I was humbled and surprised to receive the Cossack Cap Award that evening and I thank the Chamber to be included in such distinguished company of past recipients. Projects and policies to drive forward commerce and quality of life in Sitka as well as Southeast Alaska are areas I have embraced during my past Planning and Zoning Commission and City Assembly days and current State Senate tenure. For more information on the event click here. Congratulations to the Community Heroes of Sitka as well as Baranof Realty for the Business of the Year Award. United Fisherman of Alaska held their semi-annual board meeting in Juneau last week and invited me to speak with them. I met with those in attendance on Wednesday, February 17, 2016 to discuss issues and legislation important to their industry. Hearing their timely concerns helps me in discussions with my colleagues, state agencies, and the Governor. Fishing is an industry particularly important to our district and coastal Alaska and I regularly work on fishing issues as a member of the Senate Resources Committee. 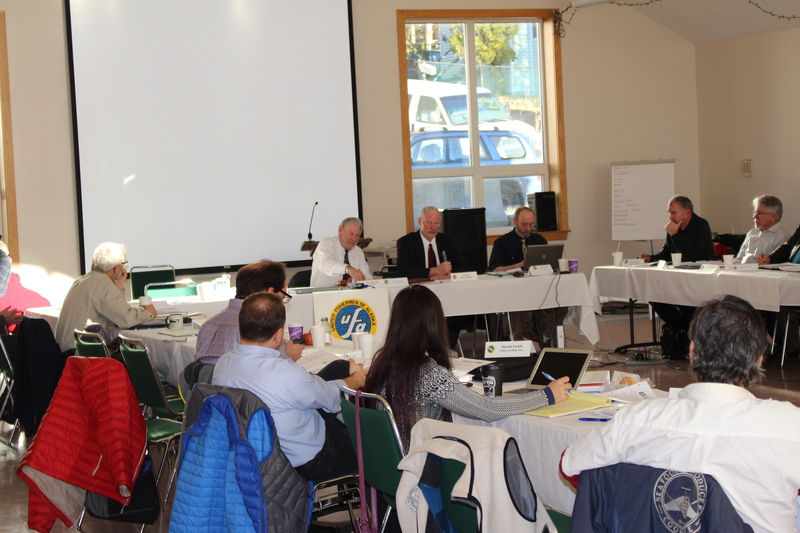 It was good to see involvement and attendance from familiar faces in the room from Southeast Alaska. Governor Walker recently announced that Alaska students in 6th through 12th grade can participate in a contest to name the two new ferries currently being built at the Ketchikan Shipyard. Vessels in the Alaska Marine Highway System are required by law to be named after one of the 745 named glaciers within the state’s borders. The deadline to submit your choice with a brief essay is March 15. Click here for official contest details.